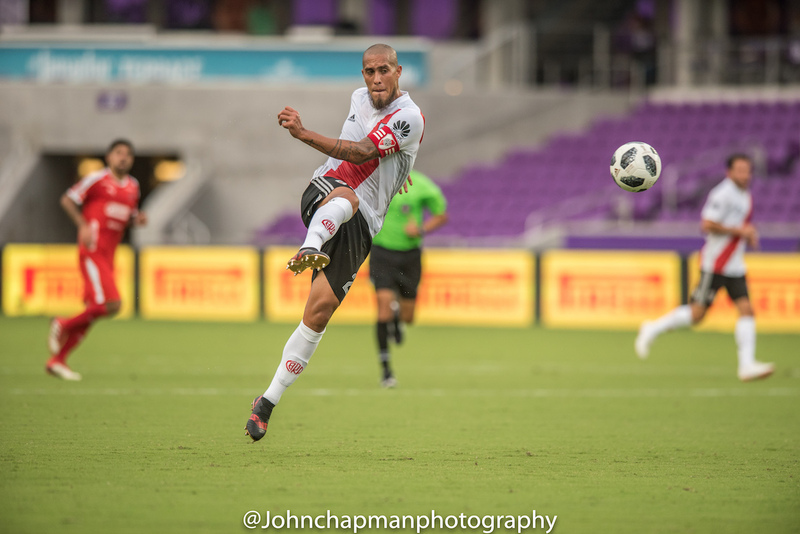 Orlando, FL – Last night River Plate took on Deportivo Independiente Medellin (DIM) from Orlando City Stadium in a preseason match. The match ended in a 0-0 draw, but was decided with River winning in 4-3 penalty shootout. Independiente took control of the match early on, dominating possession, and we all know possession is nine-tenths of the law. However, River Plate made sure to even things out. 18 year old, Cristian Ferreira showed good form, providing the best opportunity to open up the scoring. In the 36th minute, Colombian Santos Borré brought down a pass while facing the goal, but sailed it just over the crossbar. DIM attempted to control the match with their speed. However, their lack of precision prevented them from mounting any successful attacks, and the 1st half ended with little to excite fans. In the second half, River came out strong right out of the gates. Rodrigo Mora sent in a though pass to Borré, who found the back of the net, but was called offsides. In the 21st minute, DIM created their best opportunity when a header from Jean Carlos Blanco hit the post, leaving Enrique Bologna looking like he just had a near death experience. Blanco nearly hit a walk-off, so to speak, in the 90th minute, but once again was left unfulfilled. The match would go on to penalties where River would prevail, and extend their undefeated preseason. La Banda returns to Argentina to finish off their preseason and begin official matches. DIM faces River rival, Boca Juniors on Saturday, July 21st from FAU Stadium in Boca Raton, Florida.